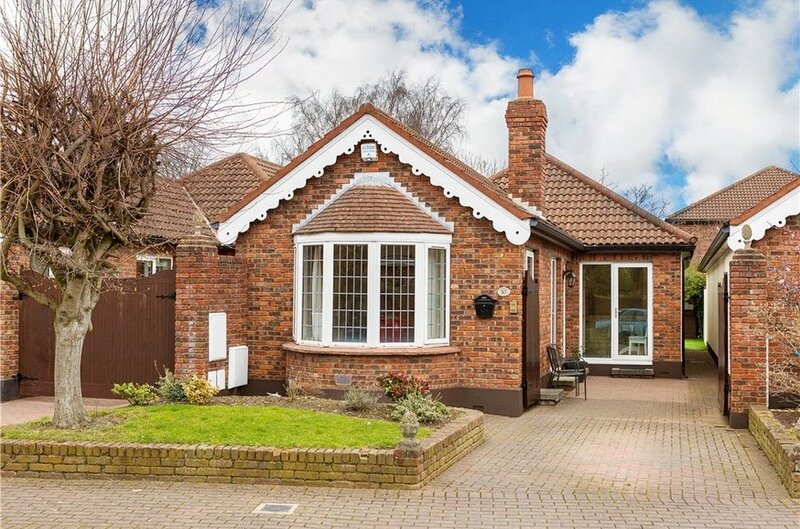 An impressive Cosgrave built, detached bungalow well-positioned in this prestigious residential development. 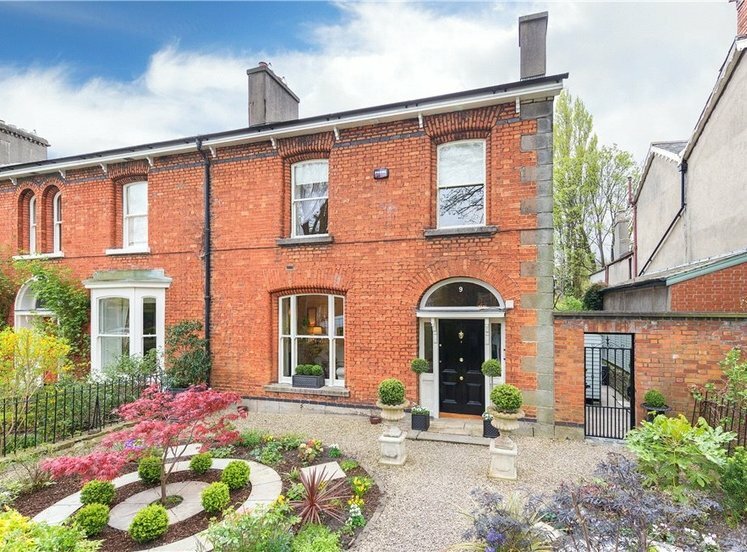 Shrewsbury is set behind electronically operated gates just off the Merrion Road in the heart of Ballsbridge. No. 30 is a very fine red bricked bungalow offering bright and well-proportioned accommodation extending to approximately 115 sqm (1,238 sqft) which internally comprises a fine and welcoming hallway with double doors leading to an elegant interconnecting drawing room and dining room enjoying a beautiful feature bay window and two French doors which open onto an enclosed west facing courtyard. 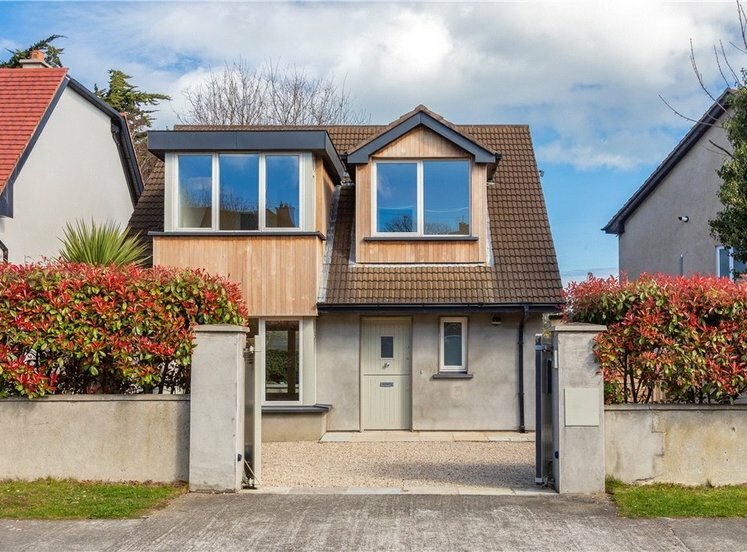 The property also benefits from a separate and well-fitted kitchen with patio door, three bedrooms, master en suite, family bathroom and a very useful utility room. 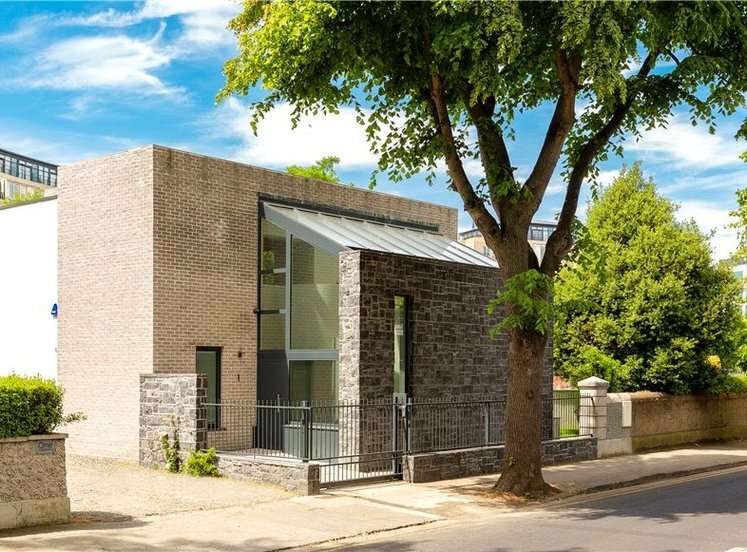 To the front of the property there is a landscaped garden and a generous cobble lock driveway with timber vehicular gates leading to an internal west facing suntrap courtyard providing additional private outside space to be enjoyed or indeed additional parking. To the rear of the property there is an easily managed garden with garden shed that enjoys immense privacy, seclusion and morning sun and pedestrian side access. 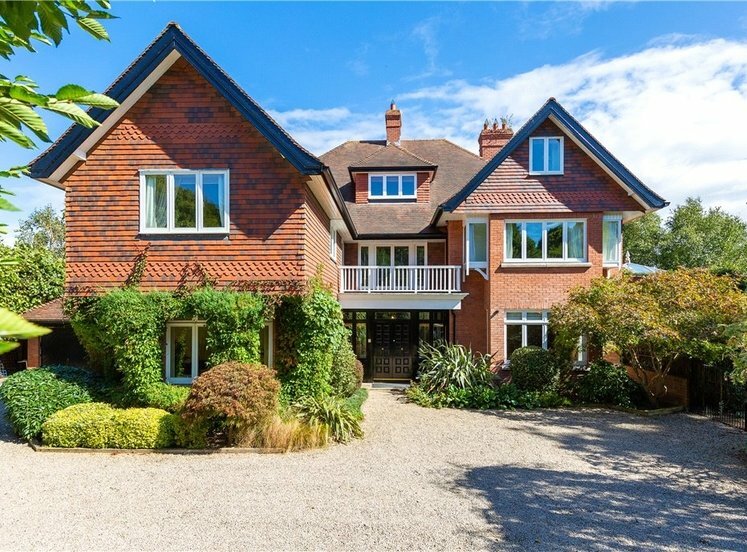 30 Shrewsbury has been meticulously maintained over the years and now provides an opportunity to acquire a well -presented home in a superb location. 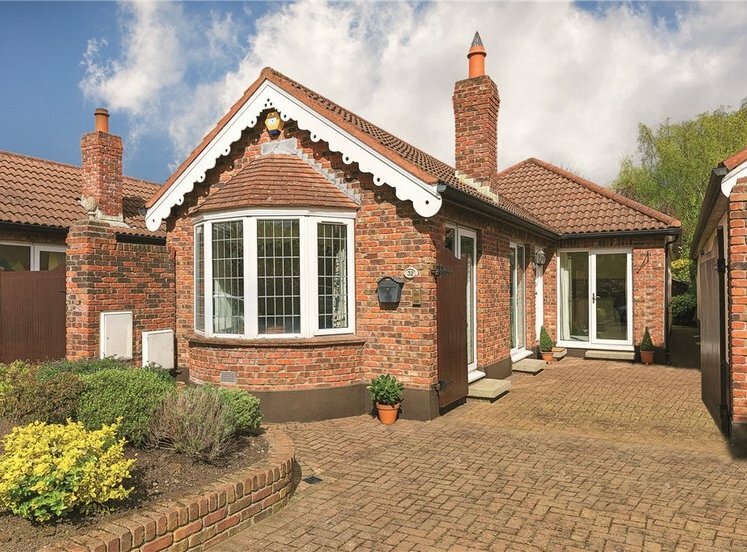 Shrewsbury is a small gated development built c.1989 renowned for its quality, beautifully maintained grounds and unparalleled residential location. 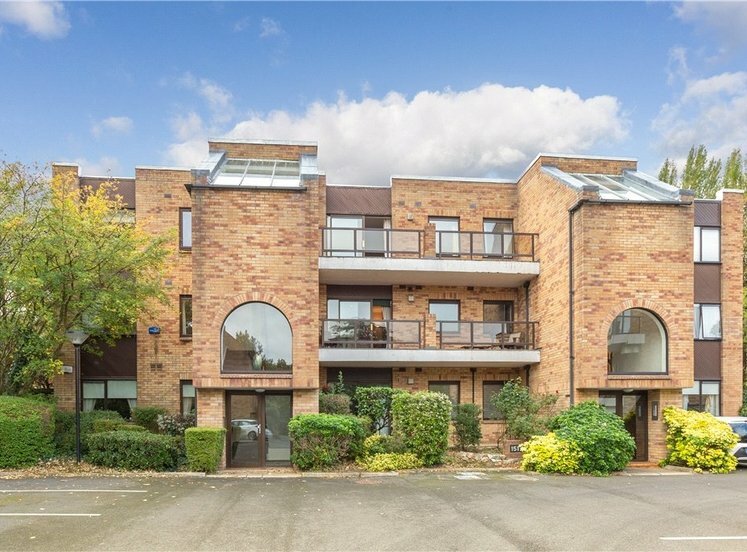 This is a location of enviable convenience situated off the Merrion Road, a short distance to nearby Ballsbridge with its range of shopping amenities and also the Merrion Shopping Centre. The DART at Sydney Parade Avenue is easily accessible providing coastal access to South and North Dublin. 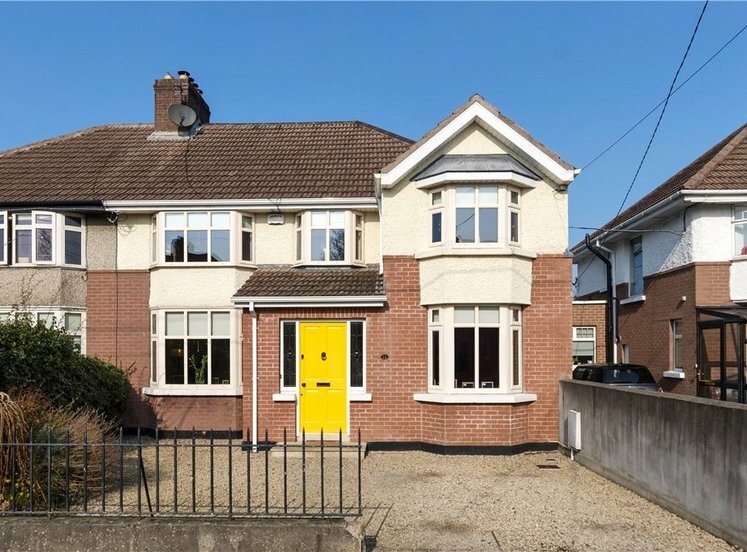 The property is within walking distance of The Royal Dublin Society, Herbert Park and the Aviva Stadium. 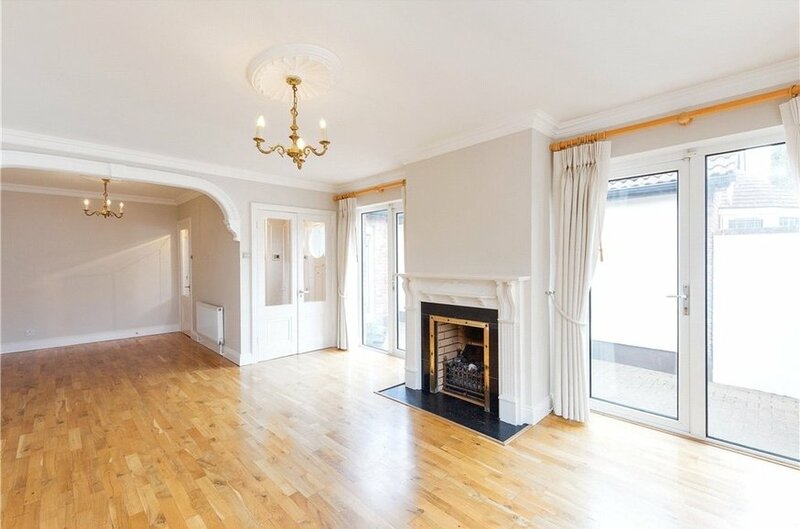 Dublin city centre is easily accessible as are all the coastal amenities along the south coast of Dublin. 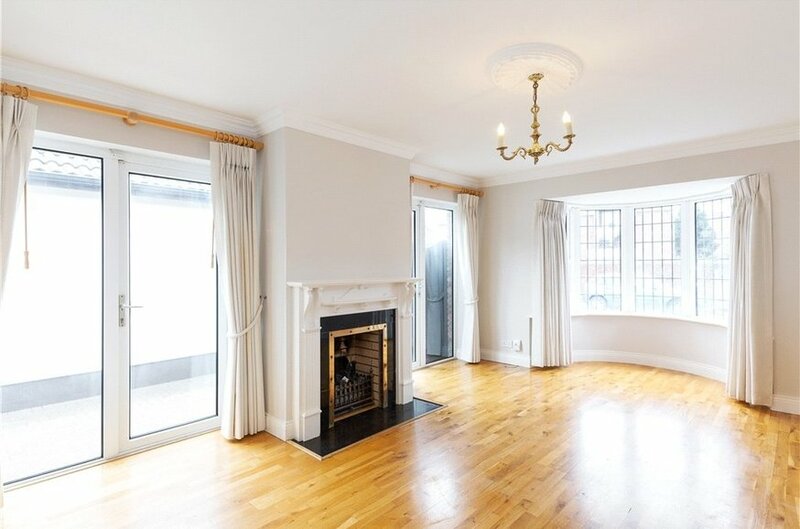 open plan with feature bay window, two doors leading to courtyard, gas fire with tiled and brass surround, timber fireplace, ceiling coving, centre rose and hardwood timber flooring. with door to reception hall. 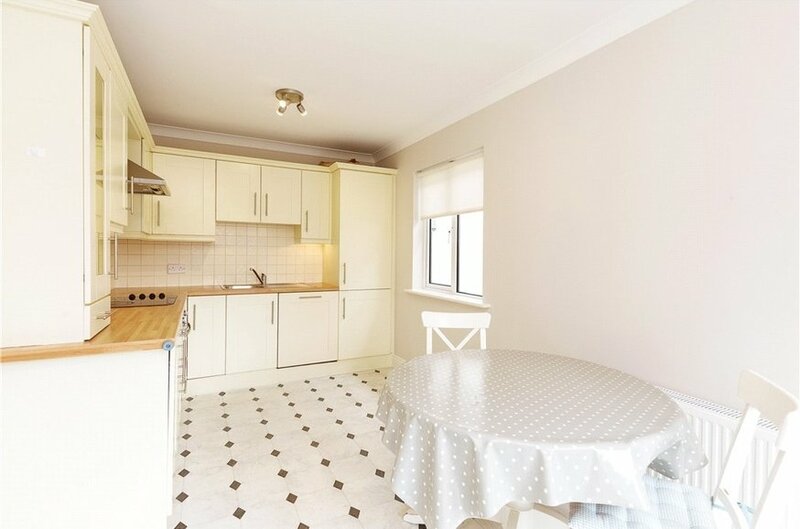 to include patio door leading to front courtyard, window to side, range of cupboards with integrated oven and four ring ceramic hob with extractor fan over, single stainless steel sink unit, integrated fridge and freezer and integrated Bosch dishwasher. 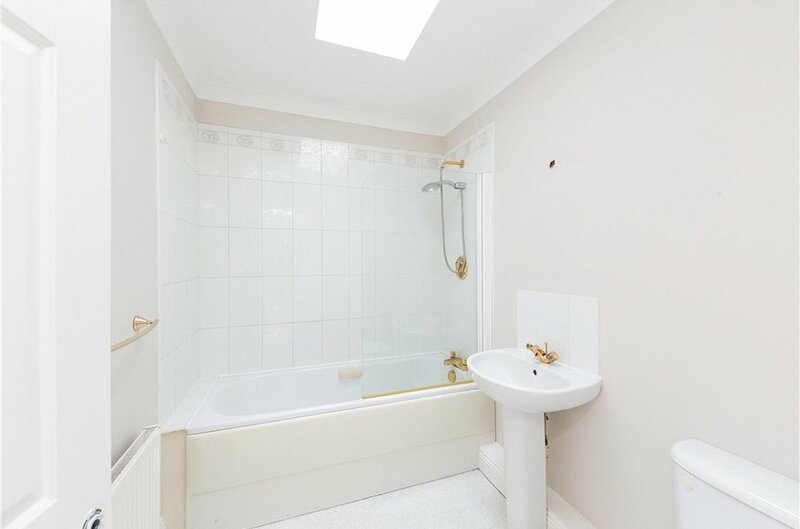 to include partially tiled walls, bath and shower overhead, pedestal whb, wc and sky light. 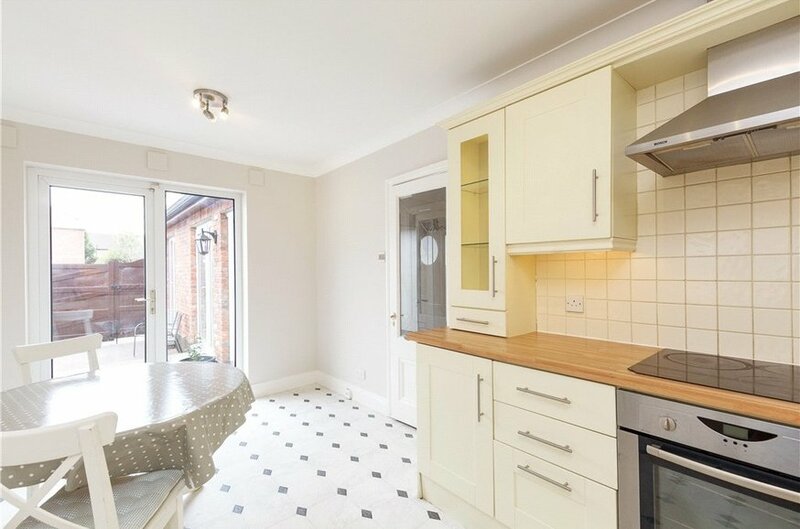 to include Worcester gas boiler, plumbed washing machine/dryer and built-in counter unit with tiled splash back and door to hot-press with shelving and water tank. 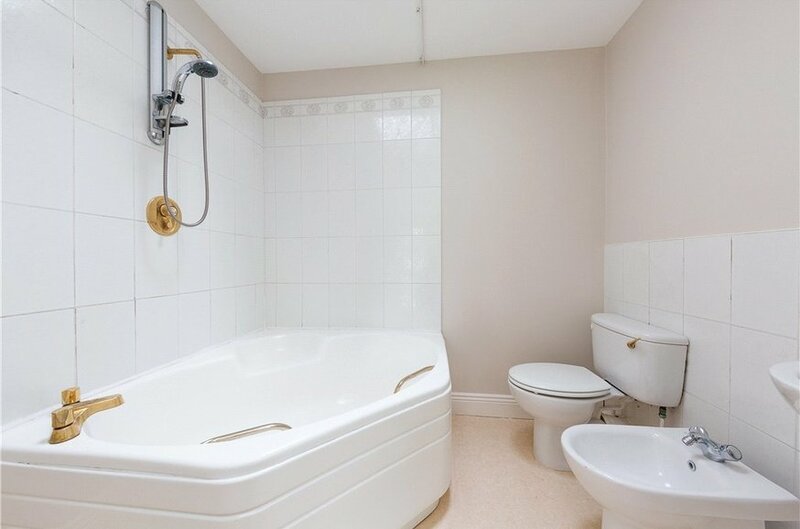 to include partially tiled walls, roof light, corner bath with shower over, wc, bidet and whb. 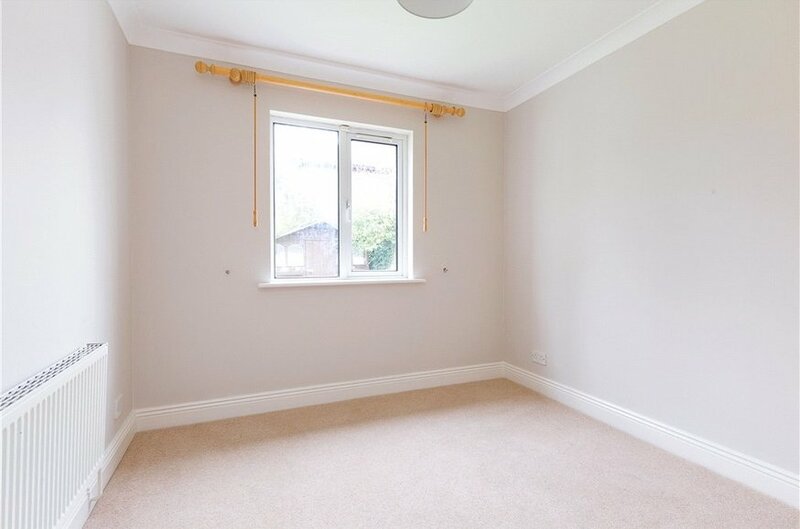 to include ceiling coving, floor-to-ceiling fitted wardrobes, newly carpeted floor and window overlooking rear garden. 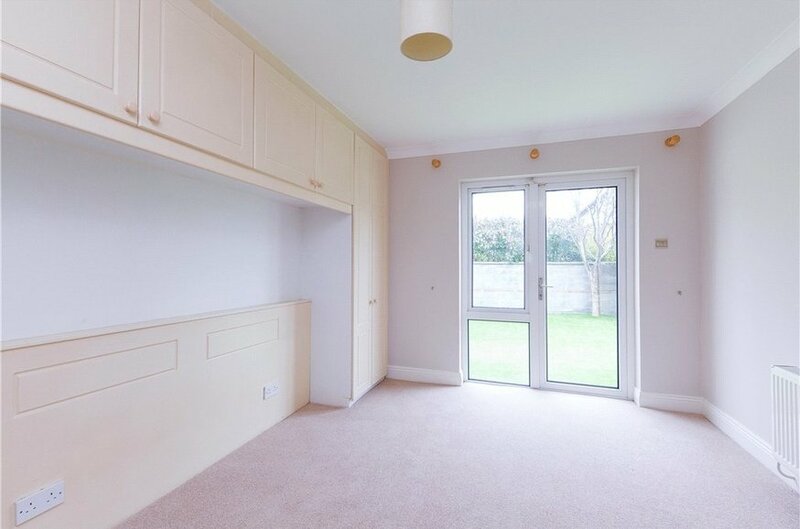 to include timber flooring, window to side, large roof light and floor-to-ceiling fitted wardrobe. 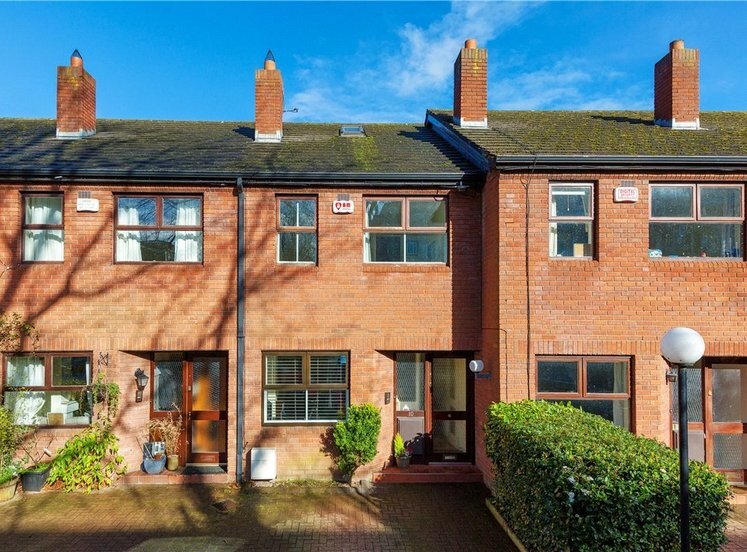 As previously mentioned there is ample off-street car parking to the front of the property and within an enclosed courtyard. 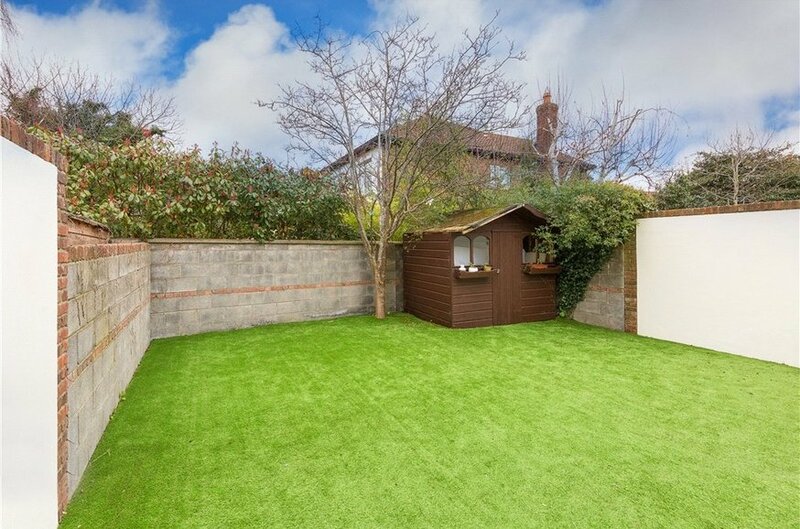 To the rear there is an easily managed garden with garden shed. The rear garden is a particular feature; it is not overlooked and enjoys a high degree of privacy and seclusion. 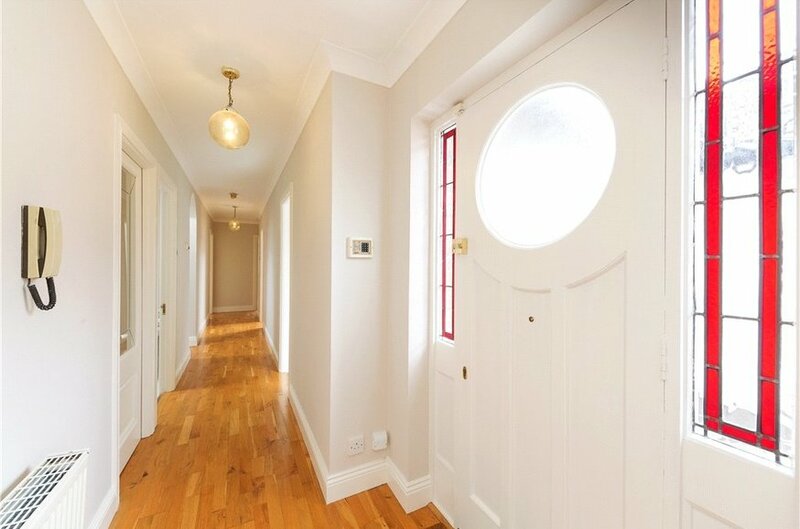 There is a side entrance leading from the front of the property to the rear garden.